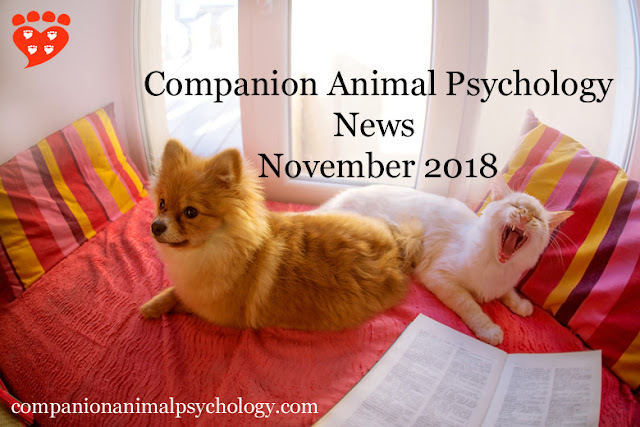 Women in canine science, people who care for parrots, dogs in Paris, and more... the latest news from Companion Animal Psychology. "Clearly - dogs are awesome. So is science!" Women are thriving in canine science - tell a girl you know! At Do You Believe in Dog?, Mia Cobb and Julie Hecht are celebrating the women in canine science, and encouraging girls to get interested in a career in science. Don't miss the daily inspiring quotes on their Facebook and Twitter feeds. 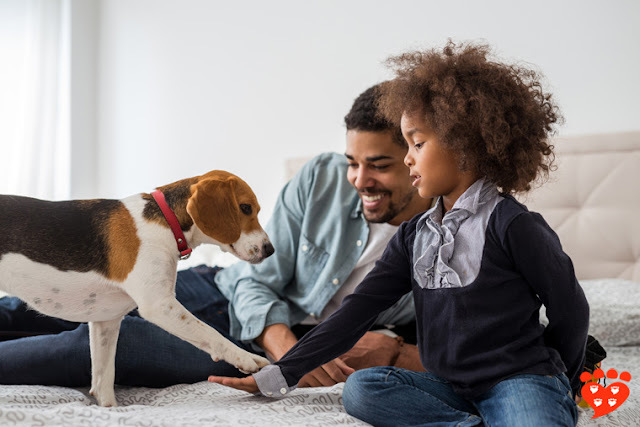 “...it is the only study I know of which has demonstrated that petting and playing with a therapy dog can reduce human distress even when the interactions are not facilitated by a sympathetic handler” How important is the animal in animal-assisted therapy? Hal Herzog on an important new study that tests the use of therapy dogs with children. A must-read. "This way of structuring veterinary and animal science as subjects within animal welfare is not only intuitive, but also aligns with the veterinarian’s ‘…special duty to protect animal welfare and alleviate animal suffering’ and the profession’s role as ‘experts’ in animal welfare". The role of animal welfare in veterinary science education and research by Kat Littlewood, on the holistic, Five Domains view. Thousands of dogs have been killed unnecessarily due to misguided ideas about breeds. Sara Owcstarczak-Garstecka on the problems with breed-specific legislation, writing at The Conversation. “In addition to it being pure fun, I also learn something every single time I watch dogs interact with other dogs and with humans, and also when I watch and listen to the humans talk with one another.” Why it’s important (and fun) to study free-ranging dogs by Marc Bekoff. Is doggy daycare right for your dog? Hannah Cappellini explains for Wag the Dog and Company. Don’t miss the checklist of questions to ask any daycare you are considering. Your cat will work for food. Mikel Delgado has lots of tips on how to get your cat interested in food puzzles. The bygone British dog show – in pictures. The Guardian shares some photos from Shirley Baker’s book, Dog Show 1961 – 1978. Meet the colourful people devoting their lives to parrots. A picture story at National Geographic by Mary Bates with photographs by Miisha Nash. Beautiful. Jean Donaldson talks to Barks from the Guild in this podcast about her upcoming webinar for dog trainers on resource- guarding and the importance of education for trainers. Cat domestication: from farms to sofas A Nature video explains what we know about cats were domesticated. The Art Institute of Chicago recently digitized its entire collection so that it is available for viewing over the internet. 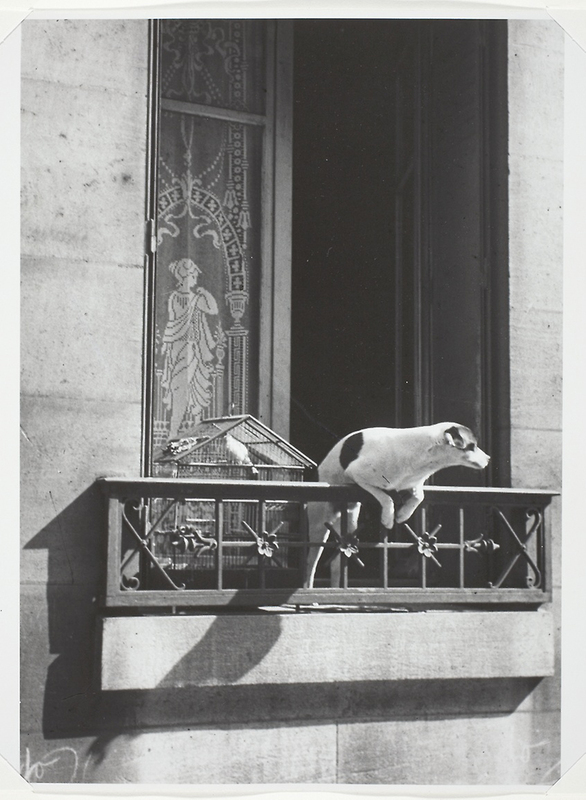 Whilst browsing, I was taken by this photo by André Kertész that shows the concierge’s dog looking out from a balcony at the street below. Paris, The Concierge’s Dog, by André Kertész, 1926. 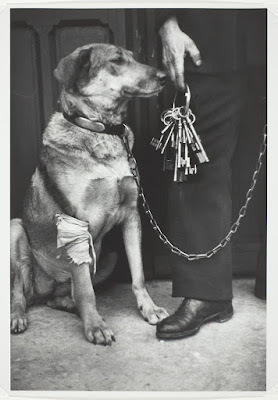 Also by André Kertész is this photo called Mr. Caillot’s Dog and the Keys to Notre Dame, Paris, from 1928. 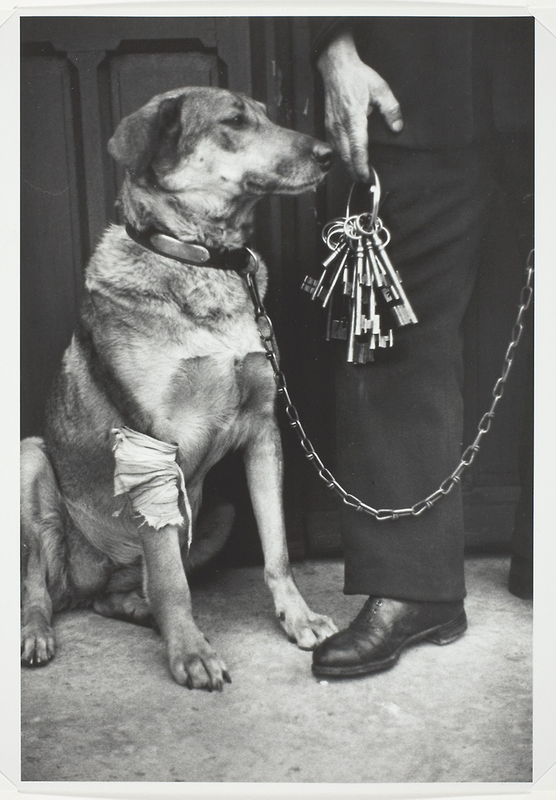 Mr. Caillot's Dog and the Keys to Notre Dame, André Kertész, 1928. This month the Animal Book Club is two years old! This month’s book is Chaser: Unlocking the Genius of the Dog Who Knows a Thousand Words by John Pilley and Hilary Hinzmann. No doubt you’ve heard of Chaser, and the book is a fascinating account of how Chaser was trained and the scientific process to document it. You can find a full list of all the books at amazon.com/shop/animalbookclub or on the book club page. If you love Companion Animal Psychology and find it a useful resource, did you know you can support me on Ko-fi? Companion Animal Psychology provides free information on evidence-based ways to care for dogs and cats, and running the site takes a lot of time and resources, so I am grateful for the support. Ko-fi does not charge fees. A special thank you to Jessica Wheatcraft, JillClaire, and the anonymous people who have supported me so far. This month I covered a randomized controlled trial that found encouraging results from the use of pheromones to help resolve aggression between cats that live in the same home, in conjunction with education from a veterinary behaviourist. I also wrote about new guidelines on how to feed pet cats from the American Association of Feline Practitioners. And in a post that will be of special interest to dog trainers, I looked at the kind of reinforcement that makes dogs run faster. It's really great to see scientists paying attention to what motivates pet dogs. This month I am especially grateful to the people who leave thoughtful and kind comments on the blog or on social media. A problem with my page counts (affecting many people who use blogger, and under investigation by Google) made it seem that readership suddenly plummeted. So it's good to know you're all still out there!! 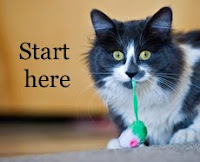 One of the best things about this blog is all the wonderful people I have met through it and I am grateful to all of you for your support, encouragement, and dedication to dogs and cats. As an Amazon Associate I earn from qualifying purchases. As an Etsy affiliate, I earn from qualifying Etsy purchases. Why we should monitor dogs for signs of stress at the vet, and the steps dog owners and veterinary professionals can take to help, according to a new review of the literature. Many people know their dog is afraid of going to the vet. 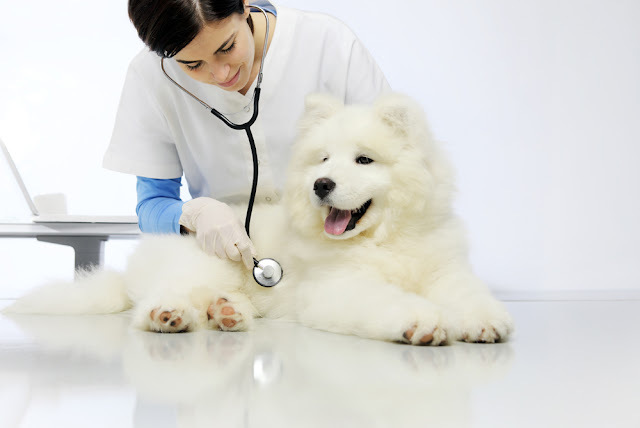 It’s not surprising because a vet visit is very different from the dog’s usual daily experiences, and yet it’s essential for them to get good veterinary care. A new literature review by Petra Edwards (University of Adelaide) et al examines the scientific literature to find out what helps dogs at the vet, and what we still need to know. Making vet visits less stressful has several benefits, including increasing the likelihood of people actually taking their dog to the vet, making it easier for the vet to make the right diagnosis, and reducing the risk of the vet staff or owner being bitten. In addition, stress is bad for dogs’ physical health, just as it is for people. Is Scent Enriching for Shelter Dogs? Research investigates the effects of enrichment using the scent of coconut, vanilla, ginger and valerian. Animal shelters are stressful environments for dogs, and so anything that helps them to be less stressed is beneficial. 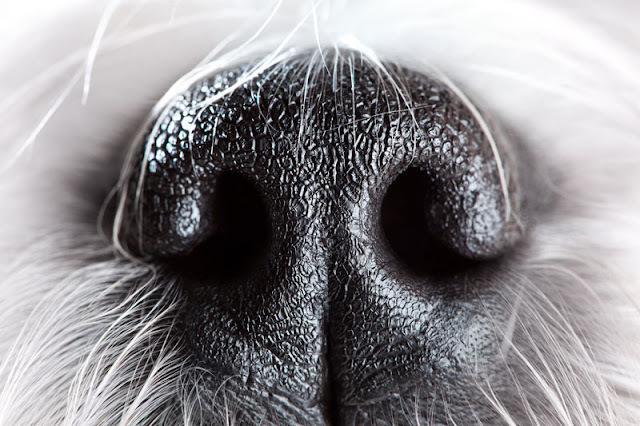 Scientists from Hartpury University Centre tested the effects of presenting scent-infused cloths to shelter dogs. The results are promising and suggest scent enrichment may work well for shelter dogs.